After 3 weeks of campaigning and nearly 38,000 votes cast, we finally have 10 of the very best in football sites and writers as chosen by the voting public. 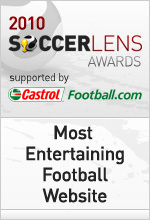 Yes, the 2010 Soccerlens Awards winners have been announced. We’ve also interviewed the 2010 nominees to get them to share their own success stories – as well as who they would have voted for. 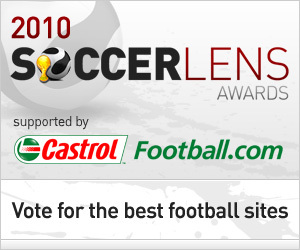 Check out the winners, read the interviews, and make sure you follow us on Twitter / fan us on Facebook to keep track of the latest news and updates, leading up to 2011 Soccerlens Awards and a special announcement in January! By Ahmed Bilal on December 21st, 2010. By Ahmed Bilal on December 20th, 2010.